Stop guessing and start creating! 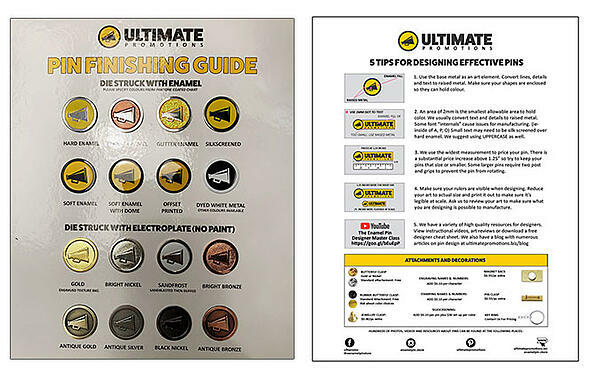 Get our sample card that displays every enamel type and electroplating finish. See the difference between hard enamel and soft enamel. Use different electroplating techniques to raise your designs to the next level! The back of the card outlines the "best practices" for enamel pin design.